Although still controversial, lane splitting is a common practice in Santa Monica and throughout the state of California. The practice, which is not illegal and is often utilized by motorcyclists, is also known sometimes as lane sharing, filtering, or white-lining. It involves a motorcyclist riding between lanes of traffic that have stopped, slowed down, or are just moving slower than the motorcyclist. The California Highway Patrol has even issued general guidelines aimed at keeping lane splitting motorcyclists as safe as possible on the road. And of course, they aren’t the only ones vulnerable to traffic accidents if lane splitting is not done in a safe manner. Automobile drivers are also put at risk by unsafe practices. 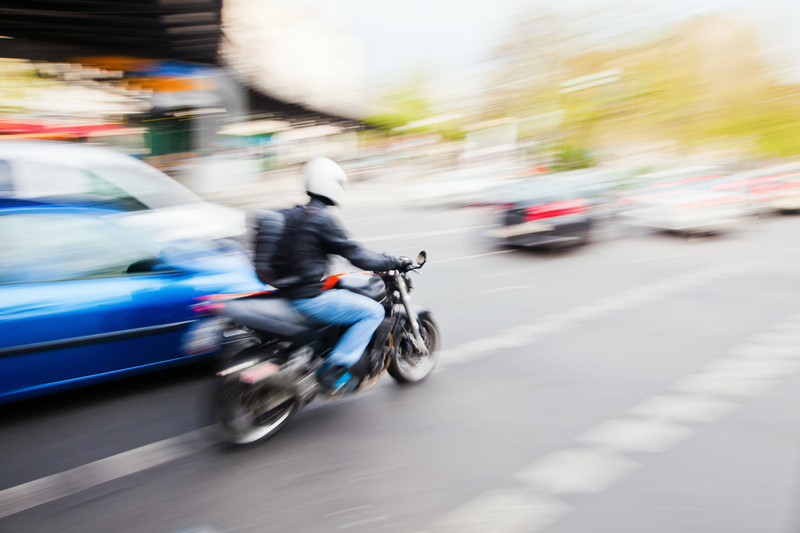 As Santa Monica motorcycle accident lawyers, we see the unfortunate consequences of unsafe lane splitting. We want to encourage motorcyclists to follow safe practices and encourage other drivers to be aware of lane splitting so that they can react accordingly. Here are some important safety tips for lane splitting. Stay Off the Line – There’s a reason lane splitting is sometimes called white-lining. In many cases, riders are following the white lines in-between lanes. However, you want to ride just to the left or right of that line, and not right on top of it. Paint offers less traction than the blacktop, especially under wet or damp conditions. Choose Your Lanes – If you are constantly weaving between traffic to get to faster-moving channels between lanes, you’re increasing the danger for yourself and the cars and trucks around you. Most lane splitters choose to straddle the fastest and next-fastest lanes, typically the two on the far left. Whatever channel you choose, stick to it unless there is a pressing reason to get to the other side. Don’t Create Unnecessary Distraction – Many motorcyclists have a habit of revving their engines unnecessarily. If you see a distracted driver putting on makeup or texting, by all means you want to make them aware that you are present. Otherwise, revving can make drivers nervous, and nervous drivers put everyone in increased danger. Watch for Mirrors – Mirrors are your enemy because they come at you from both sides while lane splitting. Give yourself more space than you think you need, and always stay alert. Cars may not think much of shifting six inches in one direction, but that can be enough to make their mirrors a danger to motorcyclists. If you are involved in a car accident with a motorcyclist, or are a motorcyclist who has been injured in such an accident, call Steinberg Injury Lawyers at 1-800-989-6385 to speak with an experienced Southern California motorcycle accident lawyer.